Today I want to congratulate Nicole for her 135 weight loss on our program. Nicole is one of our Super Star patients and because of her efforts and dedication lost 135 lbs. Nicole followed our easy diet and exercise plans and took her weight loss serious. If you would like more information on our weight loss program call us for a free weight loss consultation. Call us at 215-821-7336 and schedule your free consultation now. Here are 3 smoothie recipes that patients like Nicole enjoy on our weight loss program. We hope you enjoy these recipes. For your free weight loss consultation call us at 215-821-7336 and schedule an appointment now. This entry was posted in diet doctors, Diet Doctors in Bucks County, Diet Doctors in Philadelphia, Medical Weight Loss, Medical Weight Loss in Philadelphia PA, Medical Weight Loss Philadelphia, Medical Weight Loss Philadelphia Philadelphia PA, Philadelphia Weight Loss Doctor, Philadelphia Weight Loss Doctors, Weight Loss, weight loss philadelphia and tagged diet pills Philadelphia, doctors prescribe phentermine, medical weight loss doctors Philadelphia, Medical Weight Loss Philadelphia, phentermine in Philadelphia, philadelphia diet doctors, philadelphia weight loss doctors, vitamin B12 injections Philadelphia, weight loss philadelphia, weight loss pills philadelphia, weight loss programs Philadelphia on March 11, 2019 by Dr. Michael Kenny. Hello and welcome to our website. In today’s article I’m going to give you 3 great recipes for ketosis friendly smoothies. If this is your first time visiting our website and you would like more information about our Philadelphia medical weight loss program, I invite you to call and schedule your free consultation with us. 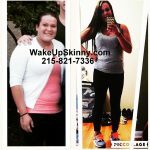 Just call us at 215-821-7336 and Lisa will gladly schedule you for your free weight loss consultation. I would like to thank all of you for referring your family members, friends and coworkers to us. Over the years our practice has grown, and we have you are wonderful patients to thank for our success. We do our best to treat everyone like family. Ketosis and intermittent fasting are 2 of the most popular health trends today. So much so that there are now conferences specifically on fasting and ketosis. And I have recently attended one of these conferences. And I must tell you that I was very impressed with all of the scientific information on fasting and ketosis and the benefits of each and of course the proper way to follow these practices. 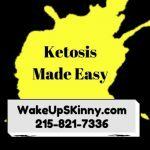 There are of course pros and cons to fasting and ketosis and there are many different types or protocols for fasting and ketosis type diets. If you are considering these types of nutritional protocols and need help, just call I will gladly help you put together a program. Please note that losing weight does not require that you must fast or follow a ketogenic diet but if you are interested in these types of program, I can definitely help you with them. Throughout the years our patients have had tremendous weight loss success just by following a regular diet plan and not going to extremes. We like to work with people and develop a plan that is simple and easy for them to follow. We want to make a plan that you can follow for the rest of your life and not only lose weight but also maintain that weight loss. So again, if you would like to schedule a free weight loss consultation just call us at 215-821-7336 and Lisa will schedule your free consultation. I hope you enjoy the smoothie recipes. Olive oil and vinegar and season to your liking. You may also use any type of sugar-free salad dressing. If you are in a rush for time you can use a rotisserie chicken from your local supermarket and you can even purchase the cauliflower rice from your local supermarket. I would start by heating the cauliflower rice in a pan stove and then add 4 ounces of your rotisserie chicken. Just warm everything nicely and then plate it, and your cucumbers and your dressing and you’re all set for a great dinner. 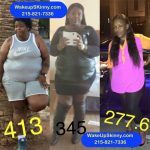 I hope that you enjoy all of these recipes and if you, a friend, loved one, coworker or family member need help losing weight or help with improving overall health and wellness please call us and schedule your free weight loss consultation. Just call 215-821-7336 for your free consultation. This entry was posted in diet doctors, Diet Doctors in Bucks County, Diet Doctors in Philadelphia, Medical Weight Loss, Medical Weight Loss in Philadelphia PA, Medical Weight Loss Philadelphia, Medical Weight Loss Philadelphia Philadelphia PA, Philadelphia Weight Loss Doctor, Philadelphia Weight Loss Doctors and tagged 39.9500° N 75.1667° W, Adipex, Belviq, Bontril, cheap phentermine in Philadelphia, Contrave, diet pills Philadelphia, doctors prescribe phentermine Philadelphia, fasting, intermittent fasting, ketosis, ketosis recipes, Langhorne PA 40.17°N 74.91°W, medical weight loss bucks county pa, medical weight loss doctors Philadelphia, Medical Weight Loss Philadelphia, Phendimetrazine TartrateCR, Phentermine, phentermine in Philadelphia, philadelphia diet doctors, Philadelphia ketosis doctor, philadelphia weight loss doctors, Popular diet pills, Qsymia, saxenda medical weight loss philadelphia, vitamin B12 injections Philadelphia, weight loss philadelphia, weight loss pills in philadelphia, weight loss pills philadelphia, weight loss programs Philadelphia on November 13, 2018 by Dr. Michael Kenny. 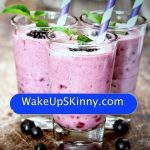 In today’s post I’m going to give you if you several really great smoothie recipes to help you along your weight loss journey and I am going to review help losing weight can reduce the risk of developing overweight related diseases such as diabetes. Whether we like it or not we have to face the fact that the bigger our waistline becomes the greater our chances of developing certain diseases like diabetes. And of course, the opposite of this is also true. If we lose weight or do our best to maintain a proper body weight we significantly reduce the chances of developing diabetes. Usually when a person is diagnosed with diabetes type II, the first recommendations the physician recommends is for the person to lose weight. Studies have shown that small amounts of weight loss can greatly reduce the chances of a person developing diabetes. And in our office, we see people starting with us that have diabetes and as they work with us their HbA1c levels decrease over time. If you are under the age of 65 just by losing 7% of your body weight you reduce your risk of developing diabetes by as much as 60%. And if you are over the age of 65 you can reduce the risk of developing diabetes by 70% or more. These numbers are significant because reports estimate that as many as 20 million people in this country have diabetes and that approximately 90% of these people are overweight. In the past, most people thought that diabetes was just a disease that you develop as you get older. But now reports indicate that at least 37% of people 20 years old or older are prediabetic. This goes hand-in-hand with reports that tell us that more and more of the youth of this country are overweight and/or obese. So, you can see that diabetes does not really care how old you are. Please be aware that no matter your age is extremely important to maintain a proper body weight to help prevent diseases like diabetes. And if you have been diagnosed with diabetes type II losing weight is so very important to help improve your health. Even the smallest amounts of weight loss have great impact. If you have been told that you are prediabetic just losing 2 pounds of your weight can reduce your chances of developing true diabetes by as much as 11%. Now to help you lose weight and improve your overall health and wellness here are the smoothie recipes. Combine everything into a blender, blend and enjoy. Just combine everything into a blender or a juice machine and enjoy. Combine everything into a high-powered blender, blend and enjoy. Combine everything into your blender, blend and enjoy. I hope you found this article useful and I hope it inspires you to make the necessary decisions to improve your health and wellness. If you are struggling to lose weight I invite you to call us and schedule your free weight loss consultation. Just call 215-332-4770 and we will gladly schedule your free consultation. And if you would like more information on our weight loss program just give us a call. Call us at 215-821-7336. Our weight loss program includes consultations with the physician, nutrition and exercise counseling, FDA approved appetite suppressant medications/weight loss pills and vitamin B-12 injection therapy. For more information or to schedule your free weight loss consultation call us at 215-821-7336 and schedule your appointment now. This entry was posted in Diet Doctors in Bucks County, Diet Doctors in Philadelphia, Medical Weight Loss, Medical Weight Loss in Philadelphia PA, Medical Weight Loss Philadelphia, Philadelphia Weight Loss Doctor, Philadelphia Weight Loss Doctors, weight loss philadelphia and tagged "Medical Weight Loss clinic Philadelphia", "Philadelphia Diet Doctor", Appetite Suppressants, diet pills Philadelphia, doctors prescribe phentermine Philadelphia, medical weight loss doctors Philadelphia, Medical Weight Loss Philadelphia, philadelphia diet doctors, philadelphia weight loss doctor on June 23, 2018 by Dr. Michael Kenny. Today we are giving you 4 great super-food smoothies to help you lose weight and improve your overall health and wellness. 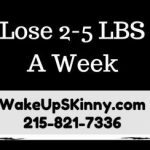 If this is your first time visiting our website and you would like more information on our Philadelphia medical weight loss program I invite you to call and schedule your free consultation. Just call us at 215-821-7336 and we would be happy to schedule you for your free consultation. Our Dr. supervised weight loss programs consist of using appetite suppressant medications like phentermine, Adipex, vitamin B-12 injection therapy and instruction on proper diet and exercise. Each time you come in we will measure your weight, check your blood pressure and pulse and perform a physical evaluation in addition to reviewing your diet and exercise plan. Here are the smoothie recipes. Place all of the ingredients into a high-powered blender, blend and enjoy. Combine all of the ingredients into a high-powered blender, blend and enjoy. Just combine everything into a high-powered blender, blend and enjoy. Place everything into a high-powered blender, blend and enjoy. I hope you enjoy these recipes is much as I do. If you or a friend need help achieving your weight loss goals I invite you to call us and schedule your free consultation. Just call us at 215-821-7336 and we would be happy to schedule your free weight loss consultation. This entry was posted in Diet Doctors in Philadelphia, Medical Weight Loss, Medical Weight Loss in Philadelphia PA, Medical Weight Loss Philadelphia, Philadelphia Weight Loss Doctor, Philadelphia Weight Loss Doctors and tagged "Medical Weight Loss clinic Philadelphia", "Philadelphia Diet Doctor", "Weight Loss Doctors in Philadelphia", medical weight loss doctors Philadelphia, philadelphia weight loss doctors, philly diet doctor, weight loss philadelphia on June 12, 2018 by Dr. Michael Kenny. In today’s post I am going to give you recipes for some amazing smoothies but first I want to thank all of our wonderful patients for referring their family members, friends and coworkers to our Philadelphia medical weight loss program. The highest compliment that we can receive is the referral of your family members, coworkers and friends and we are honored for this. We especially appreciate you referring loved ones who have had a difficult time achieving a healthy weight because of various health issues. We have been able to help people with diabetes, thyroid issues like hypothyroidism, polycystic ovarian syndrome, metabolic syndrome and many other health issues. We do offer a free initial consultation so that we can assess a person’s situation and determine if our program will be able to help them. So if this is your first time to our website all you have to do is call and schedule your free consultation. Call us at 215-821-7336 and we will be very happy to schedule your visit. I would like to give a special congratulations to Elizabeth who has lost 20 pounds in her first month with our program. Elizabeth has been following our simple nutrition plan and walking four times a week either outside if the weather is nice or on the treadmill in her home while watching one of her favorite television shows. Elizabeth, I commend you on your dedication and commitment! In our Philadelphia weight loss program we have patients that are looking to lose weight because they want to improve their physical appearance and we have people that seriously need to lose weight because of health issues such as diabetes and high blood pressure. Many of our patients are referred to us by their family medical doctor because the doctors believe that losing weight may help improve their health and wellness. More and more reports are coming out linking being overweight or obese to a multitude of health issues. So if you are looking and improving your physical appearance or improving your overall health it’s important to get your weight under control. And we would be honored to assist you. Place everything into a blender and enjoy! Combine all of the above ingredients into a blender and enjoy! Combine everything into a blender and enjoy! Combine all of the ingredients into a blender, blend and enjoy! Combine in a blender and enjoy! So there you have 8 great smoothie recipes. These smoothies may be a bit large so you will probably have 1 – 2 servings for each one. If you a friend, a loved one or coworker need help losing weight I invite you to call and schedule your free consultation. Just call us at 215-821-7336 and let us schedule your free weight loss consultation. This entry was posted in Diet Doctors in Bucks County, Diet Doctors in Philadelphia, Medical Weight Loss, Medical Weight Loss in Philadelphia PA, Medical Weight Loss Philadelphia, Philadelphia Weight Loss Doctor, Philadelphia Weight Loss Doctors, Weight Loss, weight loss philadelphia and tagged "Philadelphia Diet Doctor", "Weight Loss Doctors in Philadelphia", medical weight loss doctors Philadelphia, Medical Weight Loss Philadelphia, philadelphia doctor supervised medical weight loss program, philadelphia medical weight loss program on April 25, 2018 by Dr. Michael Kenny. If this is your first time visiting our website and you would like more information on our weight loss program I invite you to call and schedule your free consultation. Call us at 215-821-7336 and we will gladly schedule your consultation. Our weight loss plan consists of appetite suppressant medications – weight loss pills, Vitamin B12 injections and of course a nutrition and exercise plan. Teaching our patients the proper way to eat in order to lose weight and keep it off is very important to us. And that is why we update this blog with recipes every week. This week we have 7 smoothie recipes that are loaded with nutrition to help keep you healthy and help you lose weight. These recipes will make 1-2 servings that you can enjoy throughout the day. So there you have it, 7 great smoothies recipes to help improve your health and lose weight. If you would like to schedule a free consultation for yourself, family members, co-workers and/or friends just call us at 215-821-7336 and book your appointment now. This entry was posted in Diet Doctors in Bucks County, Diet Doctors in Philadelphia, Medical Weight Loss, Medical Weight Loss in Philadelphia PA, Medical Weight Loss Philadelphia, Philadelphia Weight Loss Doctor, Philadelphia Weight Loss Doctors, Weight Loss, weight loss philadelphia and tagged medical weight loss doctors Philadelphia, medical weight loss in philadelphia, medical weightloss doctor in philadelphia, philadelphia weight loss doctor, philadelphia weight loss doctors on March 27, 2018 by Dr. Michael Kenny. Welcome to our Philadelphia weight loss practice. If you are new to our Medical Weight Loss Management Program call us for a free weight loss consultation. Call us at 215-821-7336 and we will be glad to schedule you for a free consultation and give you all the information on our program. 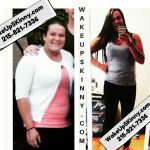 Jamie has dropped over 40 lbs with our medical weight loss program using the best FDA approved medical weight loss pills, appetite suppressant medications and diet pills, vitamin injection therapies and of course a simple nutritional plans that consist of a sensible eating program that we designed for her. We also made an exercise plan for her. And by following all of our recommendations she has lost over 40 lbs and kept it off. We also offer nutritional cleansing and nutritional detox programs as well. If you are looking to lose weight or help with improving your overall health and wellness we have programs that can help most people. So call us and schedule your free consultation call 215-821-7336. If you are already one of our weight loss patients I know you were coming to our website today looking for our weekly updates of weight loss recipes. Today, I have 4 totally fantastic recipes for you today and they are: Avocado Egg Cups, Cheesey Zucchini Hashbrowns, Antipasto and Cheese Wrapped in Prosciutto and Fried. Of course these are not your typical diet foods and that’s part of what makes our program so unique from other Philadelphia DIet Programs. Start by preheating your oven to 350°F. Place your avocado hands with the cut side up in a baking dish or any other type of oven safe skillet. Crack open your egg and place it into the center and each of the avocado halves and then sprinkle your pepper and salt over top. Next let’s place this any of and for approximately 13 – 21 minutes – until the eggs cooked. When it is finished cooking just take it out of the oven and top it with any of the other additional toppings or even some of your own toppings that you really like. This is a really great recipe let’s begin by taking the zucchini and mixing them in a bowl with the salt. After everything is mixed together nicely just let this sit for about 14 minutes. And then drain any extra liquid out of it. Next we and add the pepper, egg, green onion and Parmesan cheese and mix everything together well. After that place a skillet over medium – high heat, allow the butter to melt and make do zucchini mixture into 4 portions. They should be about 2.5 inches in diameter and a half inch thick. Put them in your pan and let them fry for about 5 minutes per side or for as long as it takes until they are nice and golden brown. Then remove them from the pan and place them on a cooling rack. After the cool down a little bit you can serve them with the holiday sauce. This recipe makes four cakes and that equals four servings each serving has about 440 cal, 3 grams of protein and about 2 grams of carbohydrates. This of course is one of my all-time favorites! First I like to take the cheese slices and place them nicely on a platter and then drizzle the olive oil over top and of course sprinkle over top the oregano, black pepper, basil and salt. Now I just add the salami and the olives and it’s ready to serve. This recipe makes about 6 servings each of them has approximately 280 cal, 4 grams of carbohydrates and 18 grams of protein. any type of herbs that you like – oregano, tarragon, thyme or even sage. Of course this is another one of my all-time favorites! First I take up and and I heat the oil over medium heat. Then I unwrapped the cheese. Now comes the fun part, wrapped each piece of cheese with one slice of prosciutto making sure that you wrap up the entire piece of cheese including the ends. If you like you can actually now sprinkle your chopped herbs for more of the crust. Then just take each piece of the frozen cheese wrapped in the prosciutto and place it in the pan and just fry it. Make sure that you are turning it often until it becomes a bit crisp and the cheese starts to soften. This happened very quickly you should only take a few minutes. Now all you have to do is set them all the platter let them cool down a bit and you could dip them in the marinara sauce. I do have to say once again this is one of my all-time favorite recipes. This recipe makes eight pieces and two of the make up a serving. Each serving has about 18 grams of protein, 330 cal and 2 grams of carbohydrates. So there you have four great recipes that are lower in carbohydrates and recipes that are not usually considered diet food. If you need help losing weight or your friends and family and co-workers need help losing weight I invite you to have them call us and schedule a free weight loss consultation. Call us now at 215-821-7336 and schedule your free consultation. This entry was posted in Diet Doctors in Philadelphia, Medical Weight Loss in Philadelphia PA, Medical Weight Loss Philadelphia, weight loss philadelphia and tagged 39.9500° N 75.1667° W, Adipex, Belviq, Bontril, cheap phentermine in Philadelphia, Contrave, diet pills Philadelphia, doctors prescribe phentermine Philadelphia, Langhorne PA 40.17°N 74.91°W, medical weight loss bucks county pa, medical weight loss doctors Philadelphia, Medical Weight Loss Philadelphia, Phendimetrazine TartrateCR, Phentermine, phentermine in Philadelphia, philadelphia diet doctors, philadelphia weight loss doctors, Popular diet pills, Qsymia, saxenda medical weight loss philadelphia, vitamin B12 injections Philadelphia, weight loss philadelphia, weight loss pills in philadelphia, weight loss pills philadelphia, weight loss programs Philadelphia on May 15, 2017 by Dr. Michael Kenny. In our Philadelphia medical weight loss program in addition to providing our patients with the highest quality FDA approved appetite suppressant medications, weight loss pills and diet pills we also provide vitamin B-12 injections therapy, Botox and fillers like Juvedrm, as well as nutrition counseling and help with developing exercise programs and overall health and wellness programs. And let’s not forget to mention that we also provide nutritional cleansing programs and nutritional detoxification programs. So if you are someone looking for help controlling your appetite and cravings with medications we can accommodate you and if you or someone that is looking to lose weight or improve your overall health and wellness with nutritional cleansing and possibly not taking any type of medication we can help you as well. And of course the Doctors and the Physician Assistants will do a thorough medical evaluation to determine the best plan for you. If you would like more information on our medical weight loss program call us and schedule your free weight loss consultation at 215-821-7336. This has been a fabulous week with our patients breaking all types of weight loss records. I just want to commend all of you on your phenomenal results from your efforts and dedication. I also want to applaud our Doctors, Physician Assistants and staff for their commitment and dedication to our patients. I do have to say that it’s a pleasure working in an environment where everyone loves what they do and the people that we help every day. And I think that is truly one of the reasons why our patients do so well. Now let’s get to those recipes. And this post I’m going to give you the recipes for low carbohydrate versions of an avocado salad, guacamole dip, cheese and pepperoni chips, jalapeno Poppers and blue cheese celery slammers. To make your delicious salad just slice the avocado and half and set the slices nicely on a plate and then sprinkle with the olive oil and squeeze the lime over top. Add the salt and pepper to taste. A nice little gadget that I suggest that you purchase is an avocado slicer. Since avocados are a big part of my daily diet I always make sure that we have plenty in the house. This recipe makes one serving and it only has 9 grams of carbohydrates and 246 cal. Let’s start by mincing our onion and crushing are garlic and combining them both in a bowl. Cut your avocado in half and scoop out the meat into that ball that has are garlic and minced onion. Mash the avocado with a fork. But do not make it to smooth, you should leave it a little bit chunky. Add your lime juice by squeezing the lime and then add the cilantro, hot sauce, Olive Oyl and salt. I usually like to serve mind as soon as we make it because it really doesn’t last that long. This recipe makes about two servings each of them having approximately 220 cal, 20 grams of fat, 2 grams of protein and 9 grams of carbohydrates. I know, I have you thinking here – what are pepperoni chips? So just continue reading and you will see what I mean. Place your pepperoni slices on a microwavable safe plate and microwave them for about 60 – 90 seconds or for as long as it takes for them to be crisp. Now all you have to do is spread the whipped cream cheese over top of them and enjoy. This recipe is for one serving and it contains approximately 200 cal, 7 grams of protein and 2 grams of carbohydrates. First let’s start by slicing open are peppers and remove the stems and scrape out the seeds from the inside. Next put half of the cream cheese into each of the peppers. Then just take your bacon and wrap it around the pepper covering as much of it as you can. You should use a toothpick to keep this together. Next just grill or broil them until the bacon is totally cooked. And now all you have to do is eat them! This makes one serving and it has approximately 215 cal, 7 grams of protein and 3 grams of carbohydrates. Place your cream cheese, heavy cream, blue cheese, garlic and hot sauce into a ball and mix everything together with a fork. Make sure that you stir and mashed together well to have it form a nice dip but be sure to leave a few chunks of blue cheese. When everything is mixed together well just stuff your stalks of celery with the blue cheese mixture and enjoy. This is enough for one serving and each serving has about 230 cal, 6 grams of protein and 5 grams of carbohydrates. So there you have it, five low carb recipes that are totally delicious. I hope you enjoy these recipes is much as I do. And as always please come back to our website next week for more recipes, health and wellness tips. If you or someone you know would like more information on our weight loss program please call us and schedule your free weight loss consultation. You can call us at 215-821-7336. This entry was posted in Diet Doctors in Philadelphia, Medical Weight Loss in Philadelphia PA, Medical Weight Loss Philadelphia, weight loss philadelphia and tagged 39.9500° N 75.1667° W, Adipex, Belviq, Bontril, cheap phentermine in Philadelphia, Contrave, diet pills Philadelphia, doctors prescribe phentermine Philadelphia, Langhorne PA 40.17°N 74.91°W, medical weight loss bucks county pa, medical weight loss doctors Philadelphia, Medical Weight Loss Philadelphia, Phendimetrazine TartrateCR, Phentermine, phentermine in Philadelphia, philadelphia diet doctors, philadelphia weight loss doctors, Popular diet pills, Qsymia, saxenda medical weight loss philadelphia, vitamin B12 injections Philadelphia, weight loss philadelphia, weight loss pills in philadelphia, weight loss pills philadelphia, weight loss programs Philadelphia on April 30, 2017 by Dr. Michael Kenny. If you would like more information on our medically supervised prescription weight loss program call us at 215-821-7336 and schedule your free weight loss consultation. In our Philadelphia medical weight loss program we use appetite suppressant medications, weight loss pills and diet pills along with vitamin B-12 injections therapy and nutrition and physical activity plans to help you achieve your weight loss goals. Even though you might not really be hungry when you are taking our weight loss pills you still need to eat good healthy nutrition. And that is why we are constantly updating this blog every week with healthy recipes and today I going to give you the recipes for nacho cheese crisps, a low-carb version of chocolate bacon toffee ice cream (according to my son Noah everything taste better with bacon – lol) and a low-carb version of chocolate soufflé. Let’s start this fantastic recipe by preheating are oven to 300°F. Next we take a piece of parchment paper and place it over top of a baking sheet. Now the fun begins. Take your frozen cheese and put in a food processor and chop it into tiny pieces. In a mixing bowl mix together the cream of Tartar with the egg white’s and then add the cheese over top. After that mix the cheese into the cream of Tartar and egg white mixture. Try to keep the mixture nice fluffy but you definitely want to make sure that the cheese is all the way through out the mixture. And here is where it gets really fun, take this mixture and you could place it into a pipette bag and squeeze this mixture onto your baking sheet lined with parchment paper. You want to make strips at least 2 – 3 inches long and about 1/2 inch wide. (My son Noah made these at college and instead of using a pipette bag all he did was get a large Ziploc bag put the mixture into their could a whole and one quarter of the bag and squeezed out some pretty heavy duty strips of this delicious mixture.) After you have major strips on the baking sheet just sprinkle over top your taco seasoning. Then let this bake any of and for approximately 25 – 30 minutes. I like mine to be very crispy and the longer that you bake them the crispier they will become. But just make sure that you do not burn them. Sometimes after the first 25 minutes I will shut off my oven and just leave them there for about another 20 minutes or so so that they are nice and crispy but they are not overly burn. Of course, it’s always best when you eat this soon after it’s made at least within a couple days but if you use a really good container should be good for approximately 5 – 6 days. This recipe makes about 5 – 6 servings and each has around 55 calories, almost 2 grams of carbohydrates and about 4 grams of protein. This is a really great recipe were going to start by mixing together your cocoa powder, xanthan gum, almond milk, eggs and sugar substitute. After everything is mixed nicely make sure that you are using a microwave safe bowl and put this into the microwave and microwave for about 1 minute or so. Take it out of the microwave, stir it and then put it back into the microwave for about another 30 seconds. Then stir up one more time and microwave for another 30 seconds. Hopefully, by this time the mixture should be a bit second. If it is not; continue to microwave for 30 seconds and then stir until it’s thickened a bit. When you finally have the proper consistency mix in your heavy cream and a little pinch of salt. Let this cool in the refrigerator overnight. Melt the chocolate together with the 2 tablespoons of whipping cream and then mix in the bacon. Spread this mixture out on either wax paper or on parchment paper and let it chill until it’s hardened. Once it’s nice and hard you can break into pieces and set it on the side. When your ice cream mixture has thoroughly chilled you can put it through an ice cream maker. Just follow the instructions that came with your ice cream maker and I’m sure everything will come out the way it should be. Wait until there is about two minutes left for your ice cream and to be ready and then mix in the bacon and toffee. Let it process for the final 2 minutes and then you can either serve it as soon as it is ready or you can place it in the freezer and let it firm up a bit. If I am placing it in the freezer to be served later I just make sure that I take it out of the freezer for about 20 minutes before we are going to eat it. Just leaving it sit at room temperature for about 20 minutes or so will allow it to become nice and soft to see you can totally enjoy all the rich flavors of this ice cream. This recipe has about 300 calories per serving, 6 grams of carbohydrates and 5 grams of protein. Let’s start by preheating the oven to 375°F. Then butter your soufflé dish with your 1 tablespoon of butter. After that let’s melt your unsweetened chocolate in a bowl, you should stir this while it is melting. When the chocolate is melted remove the ball from the heat and whisk in the egg yolks until it hardens a bit. In another bowl whisk your egg whites with a pinch of salt, use an electric mixer while adding the 1/3 cup of monk fruit. Just make sure that you at the monk fruit a bit at a time. Now stir approximately 1 cup of your egg whites into the chocolate mixture and then add this mixture to their remaining egg whites. Just mix everything together nicely. After that pour into the soufflé dish and bake this in your oven for about 18 – 20 minutes or so just until it becomes puffy with a nice crust on top. If you would like more information on our medically supervised prescription weight loss program call us at 215-821-7336 and schedule your free weight loss consultation. I hope you enjoy these recipes is much as I do and is much as my family does. If you need help losing weight, or a friend, coworker a loved one needs help with losing weight or just improving your overall health and wellness I invite all of you to call and schedule your free weight loss consultation. Just call us at 215-821-7336 and we will be happy to schedule your free weight loss consultation. This entry was posted in Diet Doctors in Bucks County, Diet Doctors in Philadelphia, Medical Weight Loss in Philadelphia PA, Medical Weight Loss Philadelphia, weight loss philadelphia and tagged 39.9500° N 75.1667° W, Adipex, Belviq, Bontril, cheap phentermine in Philadelphia, Contrave, diet pills Philadelphia, doctors prescribe phentermine Philadelphia, Langhorne PA 40.17°N 74.91°W, medical weight loss bucks county pa, medical weight loss doctors Philadelphia, Medical Weight Loss Philadelphia, Phendimetrazine TartrateCR, Phentermine, phentermine in Philadelphia, philadelphia diet doctors, philadelphia weight loss doctors, Popular diet pills, Qsymia, saxenda medical weight loss philadelphia, vitamin B12 injections Philadelphia, weight loss philadelphia, weight loss pills in philadelphia, weight loss pills philadelphia, weight loss programs Philadelphia on April 24, 2017 by Dr. Michael Kenny. Can you believe it’s March 13th and tonight it’s suppose to snow 12 to 18 inches. So for the next day or so we will probably be snowed in. And we have decided to get together with our siblings for a Snowed In Family Party. In this article I will list 2 comfort recipes we will be making and also a list of some foods that should be purchased before a storm. If you would like more information on our medical weight loss program call us to schedule your free medical weight loss consultation at 215-821-7336. 1-2 packets of stevia or 1-2 drops of liquid stevia. Combine everything in a bowl and use a small hand mixer to whip the cream. Carefully mix all of the ingredients into a mug and stir until it’s all mixed together. You can top this with the homemade whipped cream you made. Being able to communicate with people is very important and that is why we are also making sure that our mobile phones are totally charged and have a few portable chargers for our phones. I hope you found this article informational. I know it’s different from my usual posts but I felt it was necessary to share. If you or a friend need help with losing weight I invite you to call and schedule your free medical weight loss consultation. Call us now at 215-821-7336 for your free weight loss consultation. This entry was posted in Diet Doctors in Bucks County, Diet Doctors in Philadelphia, Medical Weight Loss, Medical Weight Loss Philadelphia, Weight Loss, weight loss philadelphia and tagged "Medical Weight Loss clinic Philadelphia", Appetite Suppressants, diet pills Philadelphia, doctors prescribe phentermine Philadelphia, foods to buy before a snow storm, foods to buy before a storm, medical weight loss doctors Philadelphia, medical weight loss in philadelphia, weight loss pills in philadelphia, weight loss programs Philadelphia on March 13, 2017 by Dr. Michael Kenny.